"Serve Others as You would Serve Yourself"
Situated on Durban's Golden Mile, just 35km from King Shaka International Airport, the Palace Resort and Spa comprises 76 high-rise luxury apartments, all with magnificent sea views. The on-site restaurants offer light meals, Mediterranean cuisine and room service, while a swimming pool and world-class Wellness Centre, Jacuzzi and steam room complete your luxury holiday. The Palace is a great getaway for relaxing, soaking up the sun and enjoying fun-filled activities. Mild weather and the warmth of the Indian Ocean make Durban an attractive holiday destination all year round. The luxury studio, 1, 2 and 3 bedroom self-catering, serviced apartments are fully equipped with all the essentials for a seaside holiday. The air-conditioned apartments have been tastefully decorated and have an open-plan lounge, dining room area and a full kitchen with views over the Durban beachfront and Indian Ocean. Selected apartments have a second bathroom for your convenience. The studio apartments offer mini kitchenettes. The Palace Resort and Spa is also a popular and convenient destination for business travellers. The attractive apartments of this Art Deco style, high-rise building overlook the Indian Ocean. 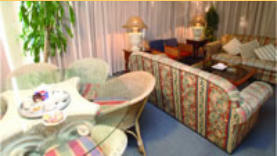 There is an onsite restaurant, swimming pool, cocktail bar, wellness spa and sauna. 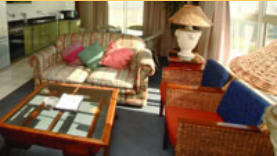 The resort has limited facilities for the handicapped, secure covered parking and a laundry facility. Don't miss out on fine Mediterranean dining at Pesto Restaurant, situated on the ground floor overlooking the promenade. Looking for a quick bite to eat, a creamy cappuccino or in the mood for room service? Pesto is open for breakfast, lunch and dinner, serving an array of delicious treats.